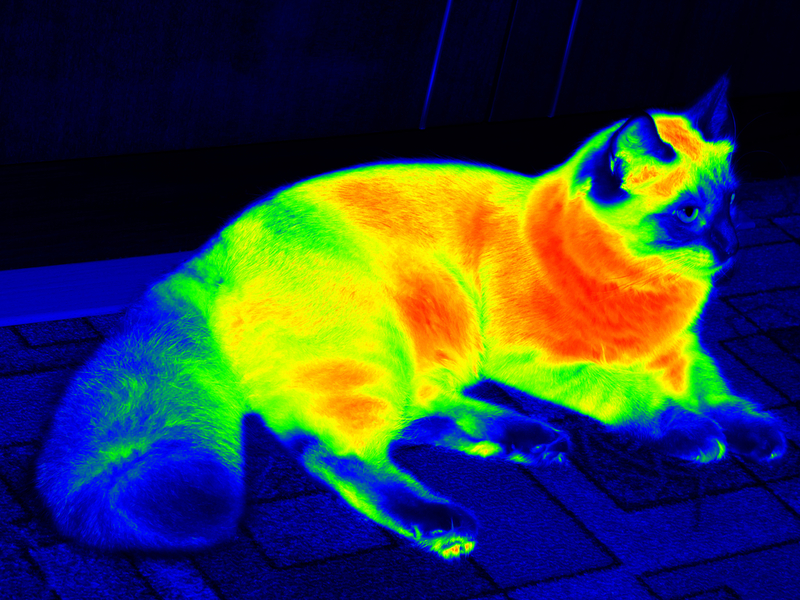 Thermal imaging or infrared thermography detects infrared light to determine animals’ internal temperatures. For veterinary doctors, infrared thermography provides an important tool for monitoring patient health in conjunction with other imaging tools including x-ray, MRI, CT scan and ultrasound. 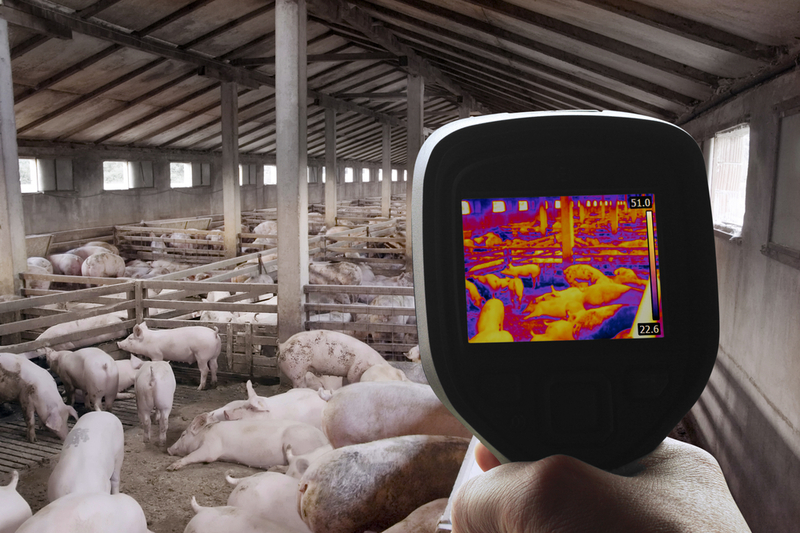 Infrared thermography uses special cameras to read the heat signal coming out of any type of object, including animals. It detects the temperature in different areas and represents them in a picture as distinct colors in a continuum, like blue to red for cold to hot areas respectively. Imagine there is inflammation in an animal’s body; as warm blood flow to that area heat is generated. An infrared detector or thermal imaging camera can detect this heat and display it, allowing a veterinarian to pinpoint the source. Because thermal imaging is non-invasive, it is a low-stress procedure for animals. For this reason it’s especially useful for zoo veterinarians and their colleagues working in the wild with shy and aggressive animals that are difficult to restrain. Thermal imaging camera can also detect inflammation from a safe distance, ensuring the veterinarian’s safety as well. For veterinarians working with racing horses, infrared thermography can work wonders to protect both horse health and the owner’s investment. Quite often in training, an owner will feel that their horse is not right. When they have the horse examined by a veterinarian everything can seem normal—then two to three weeks later physical signs of clinical lameness become more pronounced. In this case infrared thermography or thermal imaging can help the vet determine what is going on weeks before physical signs show up, helping to stem further stress, trauma, and injury. Tendon and muscular injury can easily be detected if the animal is scanned daily before and after riding, because the thermal imaging camera can capture the angles on the animal body that a veterinarian finds difficult to observe and examine. In poultry farms where temperature sensors and exhausts are installed to maintain an optimum temperature for birds, thermal imaging can be handy for detecting where exactly the temperature needs is to be adjusted. Many other problems can be solved with this handy tool, from early detection of health issues in birds, to the quality of insulation in a poultry shed. This helps the farmer to manage birds in all seasons, or when disease threatens the flock. 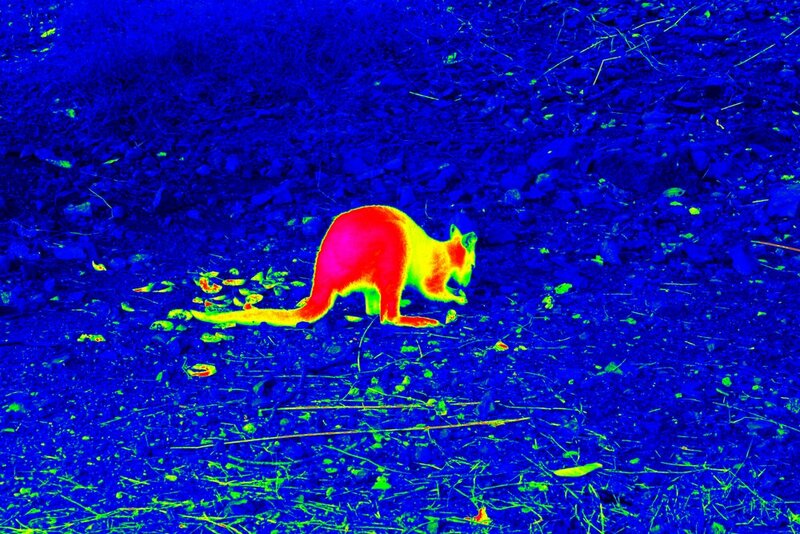 Infrared thermography or thermal imaging can be used for small and large animals to detect problems in minutes, without disturbing the animals. Whether that’s measuring the temperature of drinking water and the environment surrounding an animal. Detecting stress In livestock remotely with a click. Or uncovering arthritis in cats and dogs, back muscle injuries after calving, or skin and nerve problems that pose a risk to herd health and owner investment. In short, thermal imaging can make the invisible visible. Don't miss out on our future posts about use of technology in veterinary practices by subscribing to our blog below.